Death Of The Outsider: Who Is Billie Lurk? With Dishonored: Death Of The Outsider out this week we thought we would give you a crash course on who is Billie Lurk. 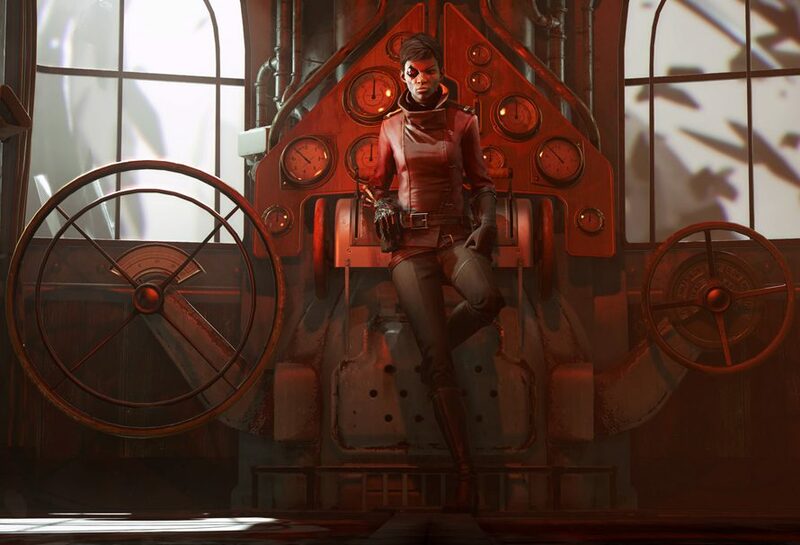 So if you need a refresher course on the protagonist for Death Of The Outsider or just want to know who the heck she is then you can read more below. Billie is a highly trained assassin and second in command to a group of assassins known as The Whalers. She is companion to the groups leader, Daud aka The Knife Of Dunwall who is the main protagonist for ‘the Knife Of Dunwall’ DLC for the first Dishonored game. Daud is one of the few characters who has been given the mark of The Outsider which grants him supernatural powers and through every mission he takes on Billie is right by his side. After the events of ‘The Knife Of Dunwall’, Billie becomes boatman to Anton Sokolov in Dishonored 2 and aids Emily/Corvo in their missions. During the events of The Knife Of Dunwall, Billie performs recon and gathers information for Daud in order to help him out on his missions. Billie acts as Dauds eyes and ears and will comments on his action as the player progresses through the DLC. At the end of the game, it is revealed to the player that Billie has betrayed Daud and planned to murder him. Billie believes that Daud has grown weak and unstable and plans to usurp him as leader of The Whalers. Billie challenges Daud to a duel where he defeats her. She then slips away without a trace. In Dishonored 2, Billie keeps her identity secret and disguises herself as Meagan Foster, a one armed sea captain and boatman to the philosopher Anton Sokolov. Foster aids Emily/Corvo in their missions in Karnaca and reveals herself as Billie Lurke and her affiliation with the Whalers in the final mission should the player maintain low chaos throughout the game. Players are able to tell her that she is a monster or that she has changed. If players tell her that she has changed, she will then seek out Daud who she considers as her true family. Months after Dishonored 2, Billie finds Daud, He asks her to help out on his new mission to kill The Outsider. Billie is given powers of her own, both her missing arm and her right eye are replaced by Void technology. It is not known how Billie has got her powers but she will stop at nothing until The Outsider is defeated. You can grab your copy of Dishonored: Death Of The Outsider from the Green Man Gaming Store right now.